Everest. 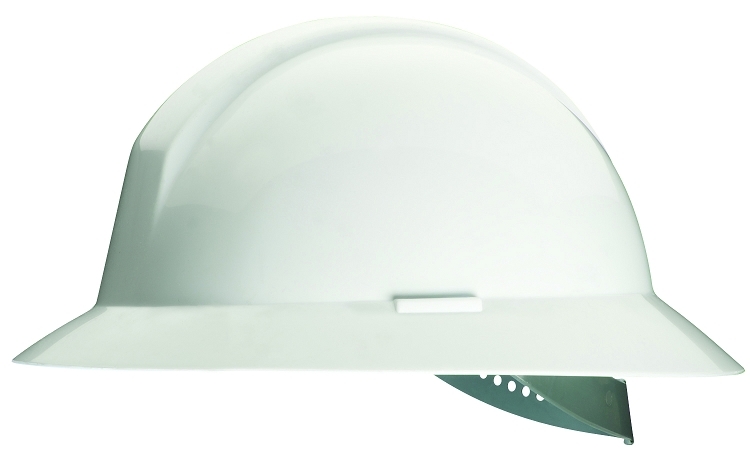 Full brim HDPE hard hat for protection from sun's harmful UV rays, rain and falling debris. Accessory slots make this the first wide brim hard hat to accept face and hearing protection accessories for the fullest available protection. 6-point suspension designed for comfort with forehead comfort band and crown pad. 2-level height adjustment and self centering. Pin Ratchet adjustment. ANSI Type I, Class E compliant.